Nothing says “happy holidays” more than an angry, red-faced mobile gamer attempting to navigate a pixelated flying sprite through a set of obstacles using nothing more than simple touches on a display. 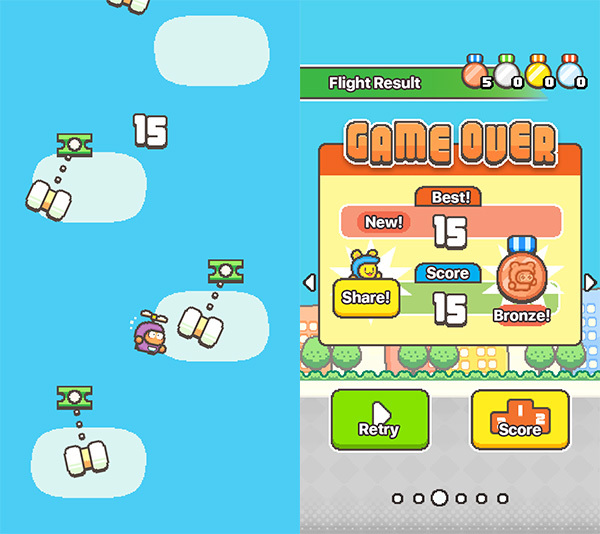 If that happens to be your idea of seasonal heaven then you are in luck thanks to the release of Swing Copters 2, the latest infuriatingly difficult game installment from Dong Nguyen, the developer who rose to prominence with the release of the equally infuriating Flappy Bird which became a worldwide mobile phenomenon before being pulled from the App Store. So, as you might have guessed, Swing Copters 2 is a closely-related follow up to Nguyen’s second attempt at angering the mobile gaming public, Swing Copters, which was released for iOS and Android in August of last year under the .GEARS company account. 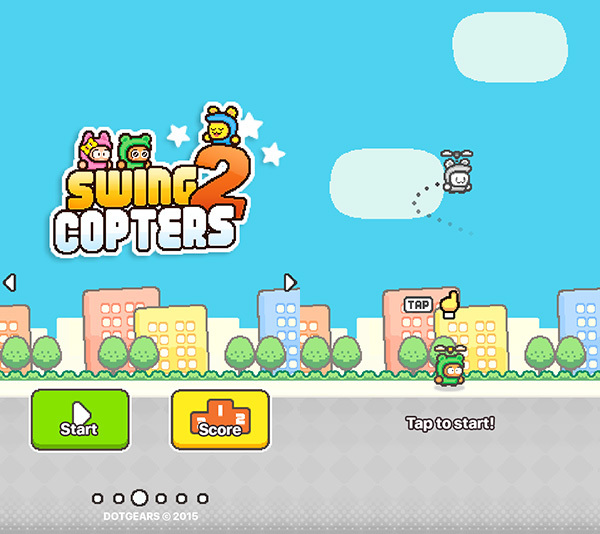 The premise of this sequel is essentially identical to the original wherein gamers are asked to use nothing more than simple touches on the display of the mobile device in an attempt to guide a cute helicopter hat-wearing sprite through a series of floating obstacles within the environment. And yes, you’re right, it’s really not as simple as it sounds. The game itself carries familiar visuals to other games released under the .GEARS brand. It also features the exact same simple tap mechanics that Nguyen and his development house have become known for. 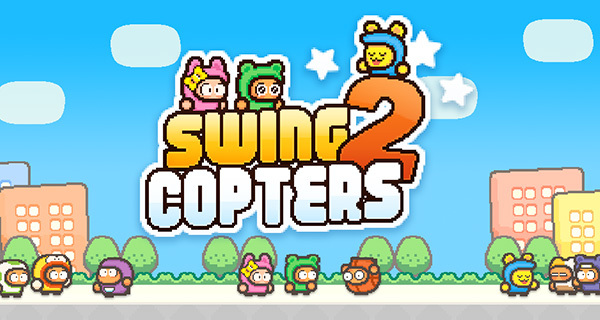 Swing Copters 2 does however come with a number of improvements and integrated features that show it’s a more mature offering than Flappy Bird and the original Swing Copters. The graphics and visuals, while still adopting the friendly 8-bit graphics approach, are noticeably improved and look and feel a lot smoother. There are also additional characters that can be unlocked by achieving higher scores and collecting medals along the way. Alternatively, characters can also be unlocked with an in-app-purchase of $0.99. Nguyen and his .GEARS company – which now boasts six staff – had originally planned to publish an update to the original Swing Copters title. However, it seems that the plan was changed internally by deciding to go down the route of creating an entirely separate, albeit equally frustrating, sequel to the game that has been installed and rage-quit on millions of devices across the globe. If you fancy seeing out 2015 with a little bit of lighthearted anger, then Swing Copters 2 is available now to download on iOS, Android and from the links below. Let us know your high score in the comments section. We imagine it won’t go into double figures anytime soon. Looks more polished then anything scamsung has made recently as well.